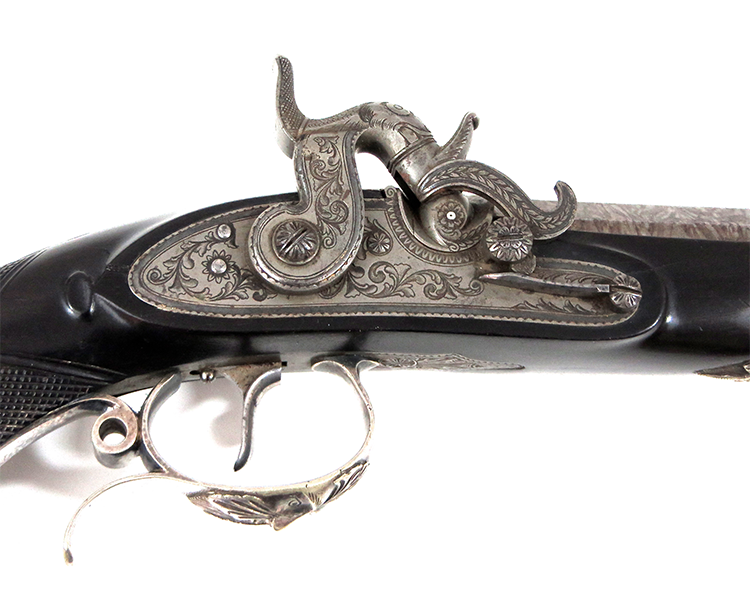 Ebony stocked, German-silver mounted pistol. Browned octagonal .40 cal. rifled barrel, signed “Tanner in Hannover”. The rear sight with a vertical adjustment. Set trigger, belt hook and original ebony ramrod. 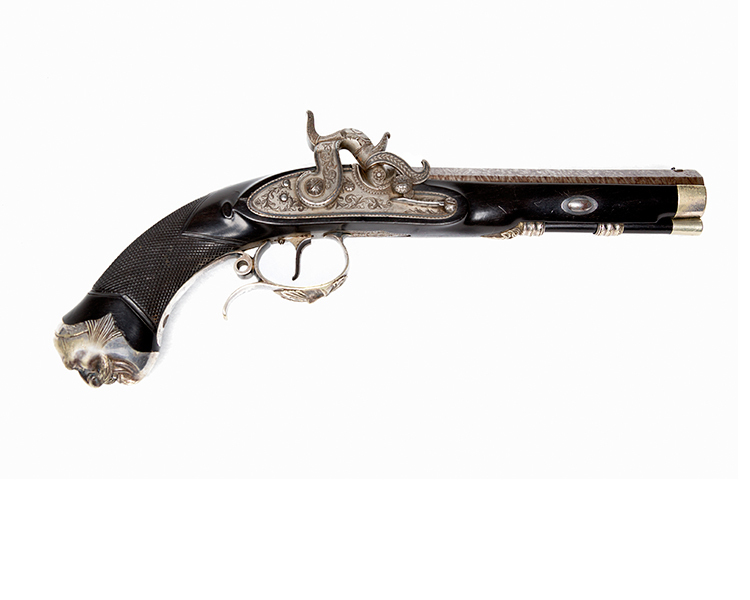 The pistol is in very fine condition. 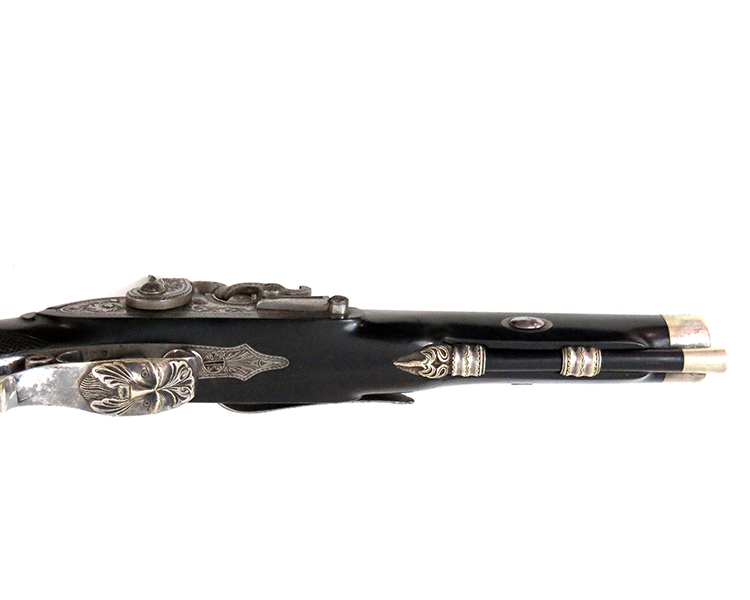 Original finish on the barrel with minor spotting. Two hair- line stress cracks, one rear and one forward of the lockplate.